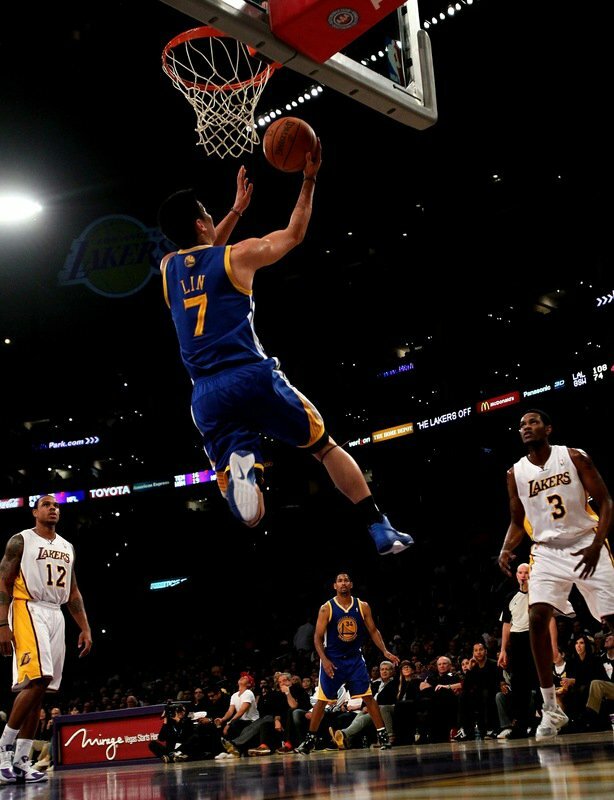 Harvard Graduate, Jeremy Lin making history. Scroll down to #3 in Mark Stein's Daily Dime. Click here. "The Warriors offense fell apart while Curry, who had four assists in the first eight minutes, was treated on the bench. Golden State went scoreless the rest of the period, missing all six of its shots." LOL. Yeah, that's why the deficit got a lot worse when Curry came back in. And why they lose by 20-30 even when Steph does a "good job." BTW, when an open man misses a shot or a David Lee travels with no one around him 30 feet from the basket...that is not the JL's fault. "I think the point guard we have now has got to do the job there now," Smart said. "Because I don't think any point guard we bring in is going to take the place of [Curry]. He's going to be still on the floor playing. Right now we just want to focus on the players we have now, because that's who we have." "Keith Smart made absolutely the right decision pulling Curry in the fourth quarter after a blown defensive series, a telegraphed pass for a turnover and a soft, pointless foul on the resulting fast break... The Warriors actually stabilized in his absence, then went on a 10-0 run to bring the game within 4... The run with Curry out wasn’t tremendously surprising since the Suns had spent all night using Nash and a pick to create mismatches against him." "Ellis also cost the team. His defense — particularly when gambling against JRich — was sub-standard and he missed some crucial free throws down the stretch." I'm not trying to hate on Curry and Ellis. Just making the point that Lin is not the reason the Ws lost, nor is he playing poorly, as some people think he is. Relative to his status (undrafted rookie vs Curry and Ellis who are NBA stars), he's doing fine. I don't think anyone here is saying that Lin is the reason that the Dubs lost - that would be ridiculous. Reading different articles and forums, it seems that people are more upset that management didn't put a more experienced and productive backup PG behind Curry than they are at Lin. I agree Lin is doing fine relative to his status, but because of Curry's struggles people just feel that the team needs a backup with a higher "status" (like the recently departed CJ Watson). I have to admit I was kind of hoping with the meaningful minutes given to Lin because of Curry's issues, that Lin would have some explosive games that would open people's eyes and make folks say, "Dayum!" like on the YouTube videos. But I guess that was a little too much to ask. "Reading different articles and forums, it seems that people are more upset that management didn't put a more experienced and productive backup PG behind Curry than they are at Lin." this is spot on. management sees this year as a rebuilding year. but after the quick start 6-1, the desperate fans of a losing franchise had already jumped on the possibility of a playoff year bandwagon. and now that dubs are losing, the fan's hopes are shattered. after following a losing franchise for so long, dubs fans lack the ability to assess a player's true worth and their contributions on a team. dubs fans only see one thing.. stats. win/lose. points made/points attempted. so in their mind, curry/monta are gods. since curry was in the olympics and monta is scoring more than he ever did, fans dismiss any other faults those two may have. this is blind love, or homerism. the hatred for lin among these fans isn't entirely racial motivated, its because they needed a channel to vent their anger. they foolishly think that if they have one more piece to the puzzle that they can win. dubs fans forgot that this is not a playoff team but a rebuilding team. That's basically why the team still holds these expiring contract players, Radmanovich and Gadzuric ... they could have traded them in the offseason, but their cap space will be more useful next season because it's a rebuilding period.